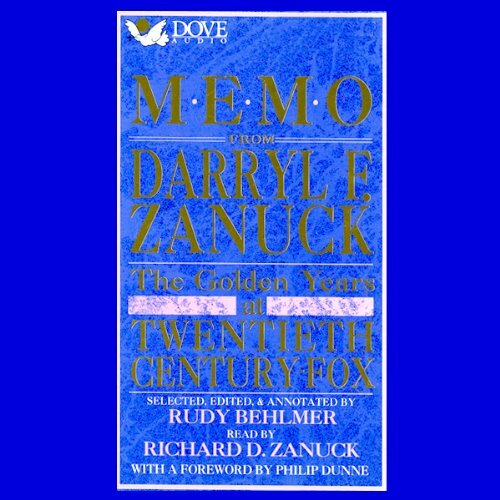 Showing results by author "Rudy Behlmer"
One of Hollywood's biggest players for almost 50 years, Darryl F. Zanuck presided over Twentieth Century-Fox during its most glorious era. These were the studio's golden days, with stars like Marilyn Monroe and Henry Fonda, directors like John Ford and Elia Kazan, and blockbusters like All About Eve and The Grapes of Wrath. You literally become privy to years of memos.